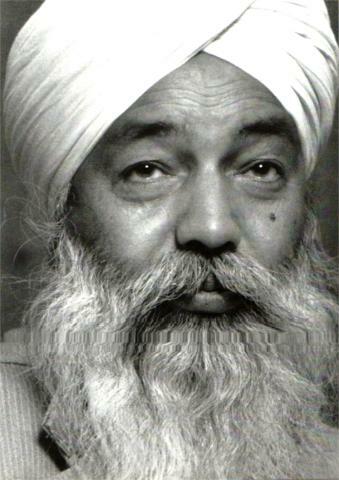 Sant Thakar Singh was born in a rural setting in the village of Kaithan in northern India on March 26, 1929. Being the first person of his village to become educated, Sant Thakar Singh assumed a career as an officer in the civil engineering department of the Indian government, retiring on his pension in 1976. Sant Thakar Singh's strong lifelong desire to find God culminated in 1965 when He attended the Sant Mat discourses and was initiated into the holy inner light and inner sound by Sant Kirpal Singh (1894-1974). 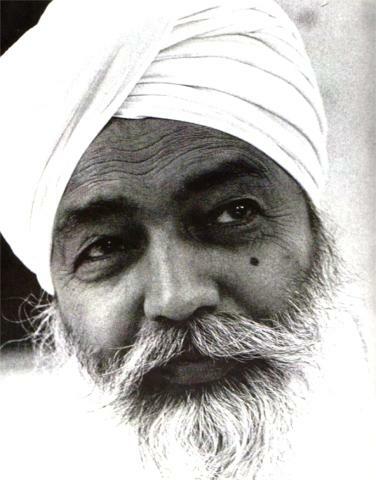 Following the call of his Master, in 1974 Sant Thakar Singh began his mission, dedicating his life to helping others find the connection to God. Sant Thakar Singh lives on his retirement pension, never charging anything for his services. Sant Thakar Singh gives freely of his time to help the poor and afflicted, offering hope to all for a better existence through their own inner connection with the inner light and sound. Sant Thakar Singh is the embodiment of love, humility, and simplicity. Sant Thakar Singh advocates Sant Mat meditation on the holy inner light and holy inner sound, a simple life, lived by honest work and service to humanity according to the principles of Sant Mat, the way of the saints. Sant Thakar Singh has met and initiated people on all five continents during several tours. Worldwide, but mainly in India, there are more than one million people having received the initiation into meditation on inner light & sound through Sant Thakar Singh.